Scott ran much later in the day today. The sheep were heavier and hungrier and were getting difficult to push around. Most dogs seemed to run into trouble on the drive away line. June was good and bad. 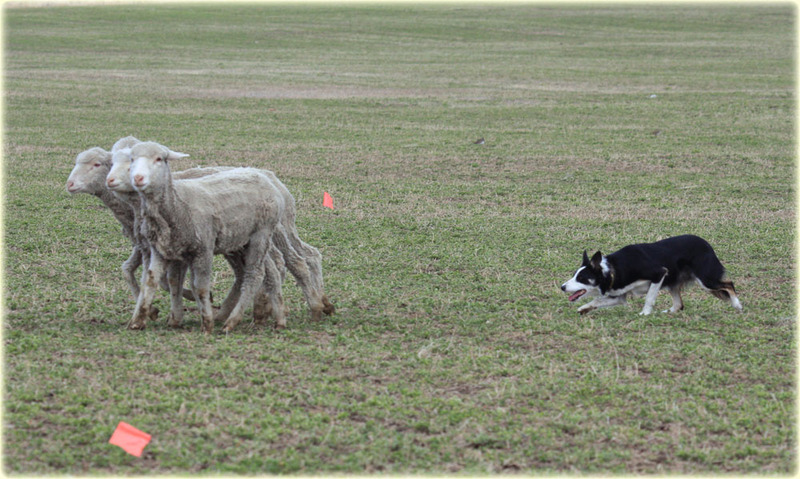 Scott said that her outrun, lift and fetch were better than yesterday and the start of her drive line was great. He was feeling really good about her because she was having no problems moving her sheep. However, the trouble started with a little low hock grab as she was getting near to the pressure of the drive panels. She survived that and had a good crossdrive and third leg of the drive. On the shed, as she came through, she grabbed one on the nose. Not needed, but at least it was on the nose and probably was the only reason she wasn't called off. However, she had to re shed and appropriately she lost alot of points for the grips. It is only fair that if a dog isn't called off for a grip, they are hit hard enough in their score that they can't win the class. They did get their pen and June ended up with a 75 and was in a 3 way tie for 8th place. Scott said he wasn't unhappy with her. Her run around the course was very good and she didn't lose her temper when she gripped. She simply thought that it was needed. Scott will work on her gripping only in the correct places. Donnie ran well today but drew a rogue ewe. She really didn't want to play well with the others and kept trying to go off on her own, eventually leading the others with her. 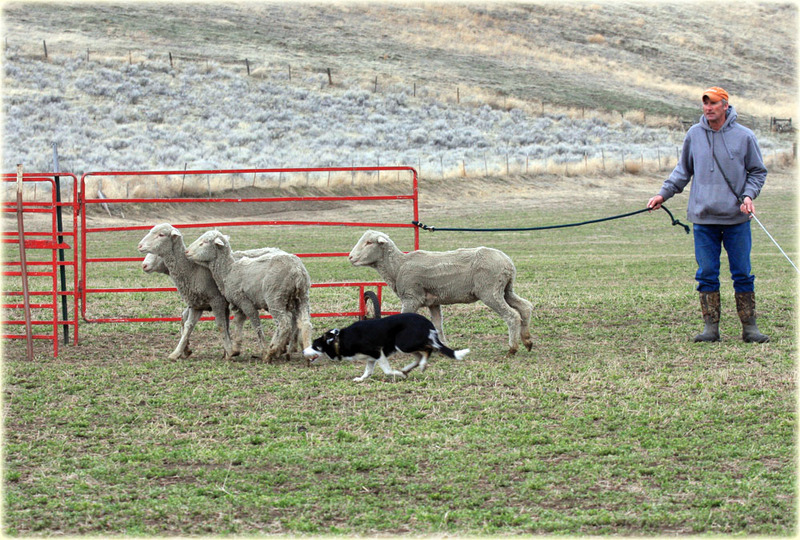 On the fetch, the sheep had been pulling to the same side, for every run, both days. This ewe, decided to make a switch and skipped over to the other side making all the sheep miss the panels. Donnie got them back under control but had more problems with her on the third leg of the drive. When she took off away from the other sheep, it got messy and Don found himself holding her with the other 3 sheep behind him. He had to turn back to pick them up and then finished his drive, shed and pen. His final score was a 78 and he was also in a three way tie, this time for 4th place. 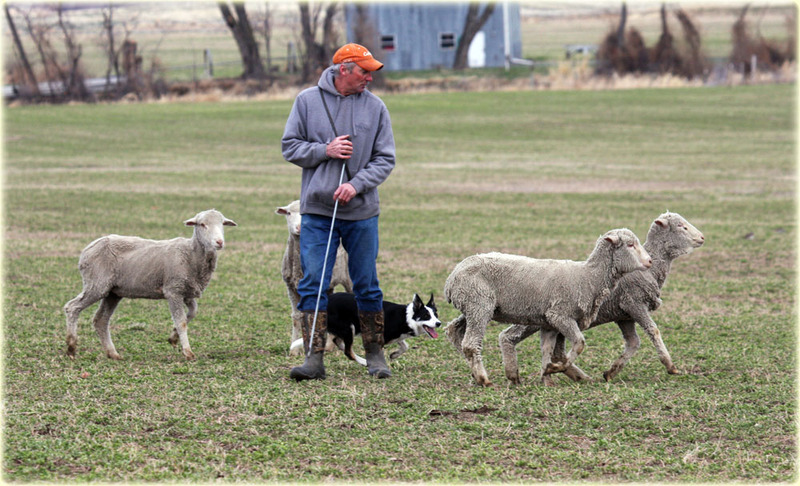 Lavon Calzacorta and his Tess handled the sheep properly and won the day with an 85, with Patrick Shannahan doing well again, this time with Riggs, and getting a second place. Another run worth watching was Norm Close and Blaze, who had a 73 with no pen. The good news is that Scott was pleased with both of his dogs. They both need to review when a grip is needed and when it is not but other than that, they performed well and it paid off with June winning the overall on her first open trial and Don winning the second overall! Those sheep are fire breathers. Sunday was WAY the day of the grip! Lucy gripped on the first drive leg but it was a clean face grip and was pointed but no DQ. There were many many grips. Also I need to learn how to run a dog apparently LOL. June and Donnie both looked good. It was fun watching Scott run dogs, I've never seen him anywhere but the finals before. I have so loved watching Scott and June work together. The videos on penning have been very helpful! Where in Canada are you guys located?